"My wife and I have known Curtis from the early eighties..."
"JI worked on many Social Studies steering committees with..."
"My condolences to Lacretia-It has been a pleasure knowing..."
"For 3 yrs Curtis and I were teaching partners at Fort..."
"Curtis was a member of the Church of Jesus Christ of Latter..."
Curtis Buell Achziger was born December 24, 1945 in Tacoma, WA. He was raised in Hoko Logging Camp near Sekiu, WA. He attended Clallam Bay High School and then went on to Western Washington University. 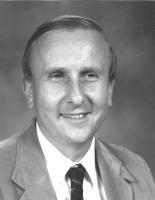 He pursued his passion for history and earned his teaching credentials in 1968. He relocated to Vancouver in the early 1970's and was thrilled to get a job teaching at Fort Vancouver High School in the history department. After retirement in 1999 he didn't slow down. He served as the vice president of the NW Hazel Dell Neighborhood Association, raised honey bees and enjoyed working in his yard. He was proceeded in death by his parents Samual Achziger and Alice May Buell. He is survived by his wife of 42 years, Lucretia; brothers David, Gene, and Scott; sisters Nancy and Rise. He passed away at home on November 17, 2015. Memorial services will be held at Evergreen Memorial Gardens at 3:00 p.m. on November 25, 2015. All are welcome to attend. Please sign Curtis's Guest Book at www.columbian.com/obits.